above foto, left to right; Omar, Vytis ( grieving owner of the LOST SHOES OF VYTIS), and Tio Humberto (a suspected suspect). below: Close-up foto of fake people that have LOST their SHOES !!! Here's a picture of a local landmark of shoe-less people. 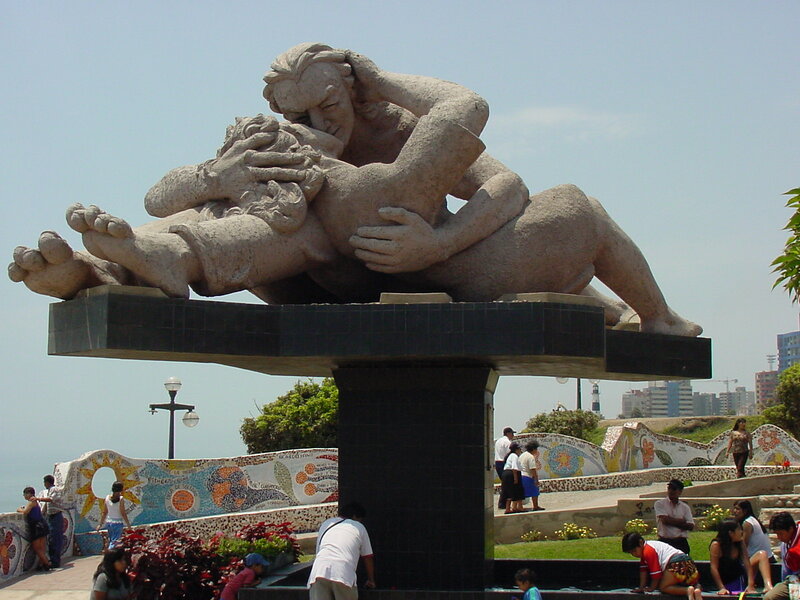 Parque del Amor; Lima, Peru. Notice all the local people looking for LOST SHOES. 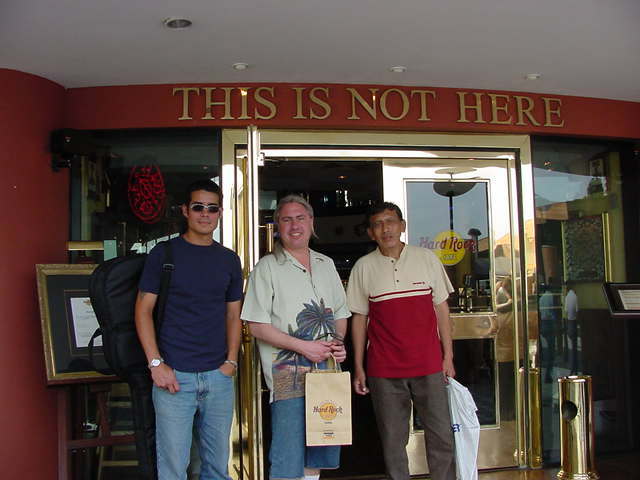 After receiving information from an informant, one of our teams of investigators, along with a suspected suspect, went to the Hard Rock Cafe in Larco Mar, Peru. Our hopes were dashed upon enetring, however, by the most welcoming sign. It should have read, the LOST SHOES OF VYTIS ARE NOT HERE.